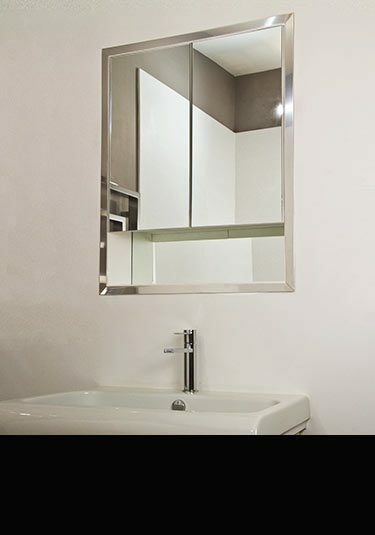 Livinghouse supplies recessed bathroom mirror cabinets and recessed bathroom shelves for building into the wall, allowing space saving and contemporary styling. 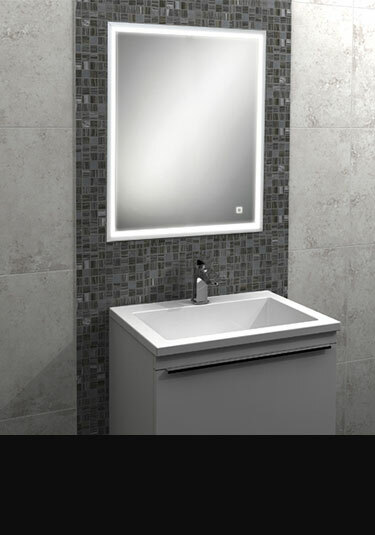 These built in bathroom storage cabinets can be supplied with or without lights and shaver sockets and are available with white, black and aluminium carcasses. 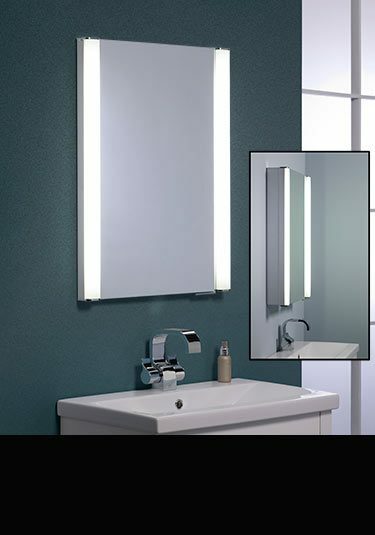 Our in wall mirror cabinets are idea for wall hung contemporary bathroom design, where space saving toilet cisterns are also recessed into the wall. 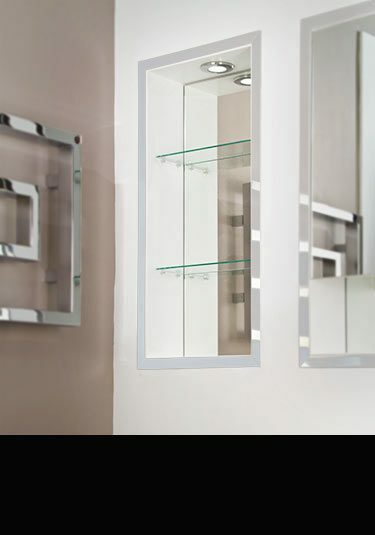 Completely recessed bathroom shelves with a stainless steel surround, is designed for in wall installation. These open shelves are available in a white or black painted finish, has glass shelves and can be supplied with or without low energy lights. 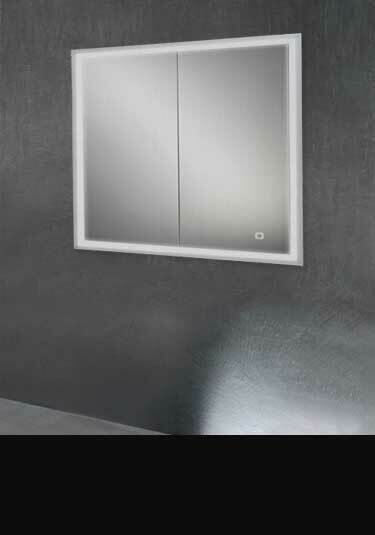 This bathroom mirror cabinet has been designed to be recessed into the wall for flush fitting. Each in wall cabinet can be supplied in black or white painted finish with a stainless steel surround and with or without lights.